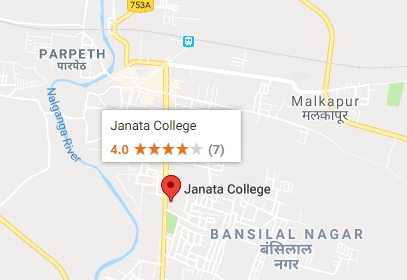 Janata Kala Vanijya Mahavidyalaya, Malkapur is one of the premier colleges in Malkapur. The Women Hostel is situated in the premises of Dr.V.B. Kolte Colleges of Engineering, Malkapur. The hostel is established in 2013. It has accommodation capacity of 56 students. Proper discipline is maintained in the hostel where students can pay proper attention towards their studies. The entire hostel premise is maintained neat and clean. To retain girl students in higher education. To give exposure to girl students coming from rural places. Mess and dining hall with fresh and healthy food. Water filter with RO for pure water supply. Recreational hall for organizing cultural activities. For seeking admission in hostel, fresher students have to submit following documents. Photocopy of admission receipt of college. Photocopy of last year’s mark sheet. Photocopy of category reservation (if necessary). Photocopy of address proof of permanent address. To maintain the discipline of the hostel a committee is formed consisting faculty members and hostellers. For smooth functioning of hostel Principal and other authorities visit hostel regularly. Warden, Watchman and officials play important role in maintenance of all documentation and discipline. The entry time for hostellers up to 7 pm sharp. No one will go out of the hostel after 7pm without Permission. Hostellers are responsible for proper maintenance and classmates of hostel. Every hosteller must bring her own blanket, water buckets, and jug etc. Ragging in any means is strictly prohibited in hostel. Lights and fans should always be switched off while leaving rooms. The hostel is not responsible for loss of valuables. The Volume of music systems, PC or laptop may be adjusted at low decibel.